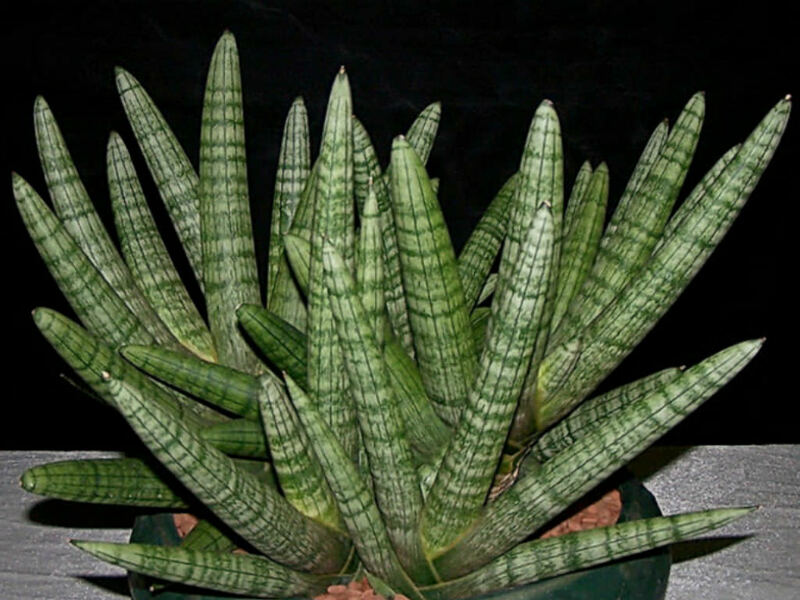 Sansevieria cylindrica var. 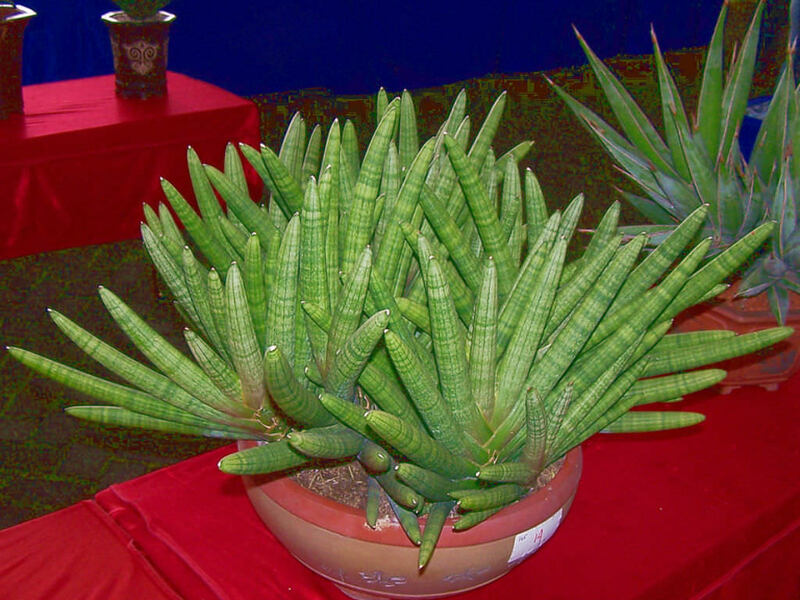 patula ‘Boncel’ is a succulent plant with fat short leaves and does not grow as tall as Sansevieria cylindrica. The leaves spread out like a fan and given time produce offsets that will fill the pot with similar fan-like growths. If grown in bright enough light this plant can produce up to 3 foot (90 cm) spike-like raceme of pink-budded white flowers. 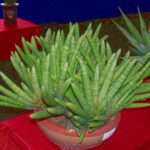 Place Sansevierias in moderately bright or filtered light. Good locations include a spot in front of a north-facing window or in front of a bright, sunny window covered by a sheer curtain. Although the plant tolerates low light, bright light brings out the colors in the leaves. However, intense light may cause the edges of the leaves to turn yellow. Allow the soil to dry completely before watering and then water deeply until water drips through the drainage hole. Allow the pot to drain and then discard water that remains in the saucer. Never allow the soil to become soggy and never let the pot stand in water. Water sparingly throughout the winter. 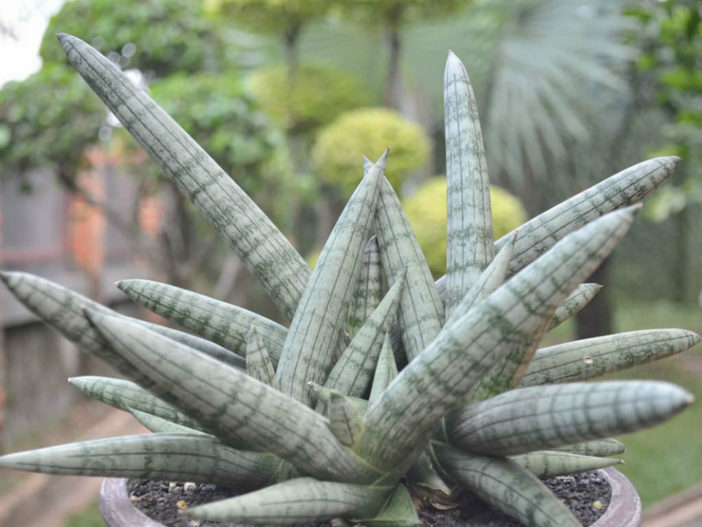 Like most succulent plants that store water in their leaves, Sansevieria rots quickly in excessively wet soil. 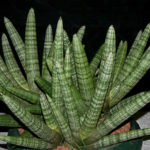 Place Sansevieria in average room temperatures. Protect the plant from drafts and cold temperatures as it is damaged at temperatures below 50 °F (10 °C).